It won't shock to read that. Most people, especially when they see their bill after a visit to an urgent care or to the ER, feel the bloat. A bill for this. A bill for that. A bill for this doctor. A bill for that lab. It feels never ending. We're seeing the worst outcomes for the most money we've ever had to pay. It's no wonder people would rather just skip the care they need and suffer from a little pain. It's less pain than they'd otherwise feel to their pocketbook. At least for the moment. Managed care has been used as a framework for benefits plans for decades. The problem is, it doesn’t deliver. Now Vera Whole Health is delivering on this original promise. Our approach drove $1.6 million in gross savings for the City of Kirkland. Find out how. What's the root cause of the health chaos? It has to do with a big system where everyone has a claim to stake. But the solution has been staring us in the eyes for years. Now imagine all of this done in a scenario where everyone wins — improved outcomes and reduced costs. This is the reality of effective primary care. It's effective to deliver both a quality experience to patients and an ROI to a company's bottom line. Because the entire system is housed within a single unit. This is the sweet spot of on- or near-site clinic model. Through this model, an entire care team, even an entire care center, is dedicated to one population of people. Everyone has the same plan. The same benefits. No co-pays. With a specific, defined population, based on historic claims data, you can have a clear understanding of the risk of the population and opportunity to improve health, all the way down to the specific individual member. But it goes beyond that into utilization. If we have a clear understanding of the population risk, we can share a better message to draw people in. And once they're in, direct primary care coordinates low-cost, high-quality referrals. When you're operating in a specific environment and not controlled by any particular health system, you're in control of referrals and the follow-up. It's a level of accountability and care you just can't execute within the tradition model of fee-for-service. And for specialists, this level of care trims out all of the unnecessary waste. Because direct primary care coordination prevents patients from seeing specialists unless there's a need for their services. This is about doing the right thing, saving money and providing the right kind of quality care. That's why the role of primary care is becoming more valuable in this broader ecosystem. And when done right, has the potential to deliver quality, personalized solutions to people who need them. Whether it's diabetes management programs, musculoskeletal programs, behavioral health coaching, remote monitoring solutions. Direct primary care bridges the gap, or better yet, acts as a vehicle to deliver broader scopes of services and solutions and creates opportunity where otherwise it didn't exist. Saved costs. Better quality. Increased outcomes. All of these are possible. The key is direct primary care coordinating health efforts. Interested in learning more? 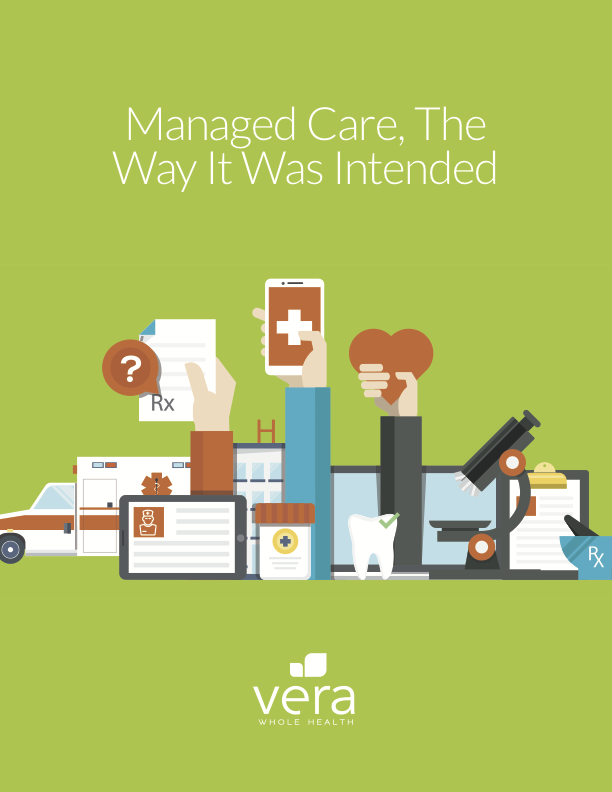 We've created an eBook entitled: Managed Care, The Way It Was Intended. It goes into much more detail, and you may find it helpful. You can download it here.